Hollywood’s most powerful tools for professional editing, color correction, audio post and visual effects! 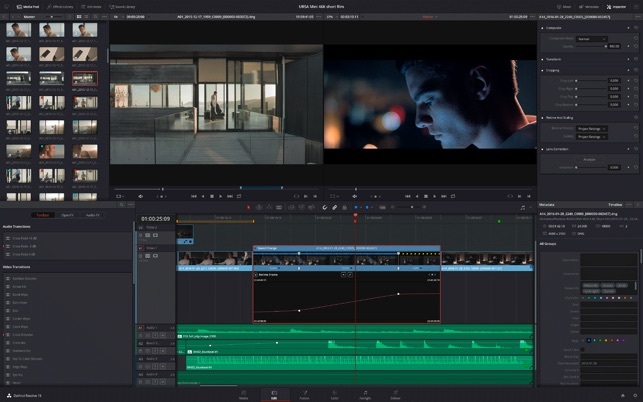 DaVinci Resolve 15 combines professional editing, the world’s most advanced color corrector, Fairlight digital audio, and all new Fusion visual effects and motion graphics into a single application! 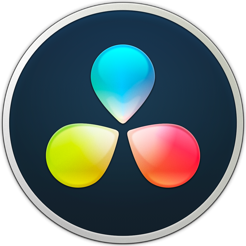 Now you can seamlessly edit, color correct, add effects, mix and deliver without having to switch software. It’s like getting 4 high end applications in one! 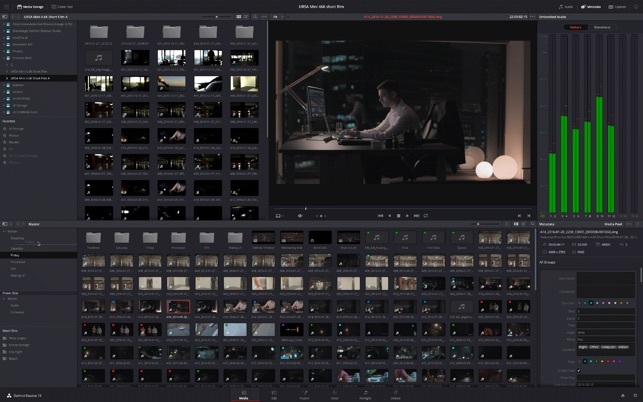 This free version of DaVinci Resolve 15 includes all of the same high quality 32-bit float YRGB image processing, editing features, visual effects and professional audio tools as DaVinci Resolve 15 Studio. 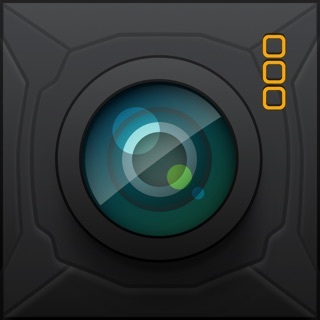 The free version lets you work at up to 60 frames per second and can output SD, HD and Ultra HD resolution files. 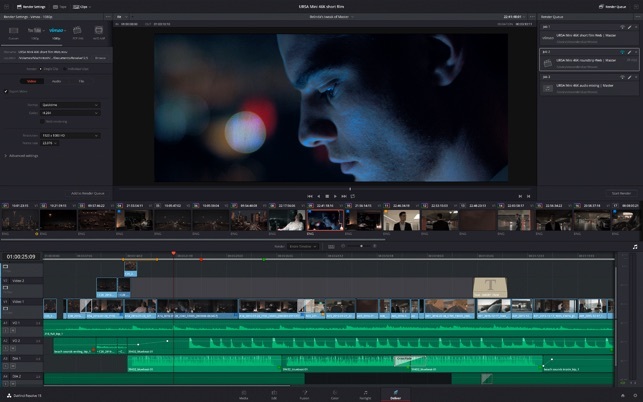 DaVinci Resolve is perfect for both offline editorial and online finishing. You get every editing and trimming tool imaginable, new stacked and tabbed timelines, multicam, closed caption and subtitling tools, on screen annotations, faster project loading, 2D and 3D title templates, and dozens of other new features! Hollywood’s favorite color corrector keeps getting better! 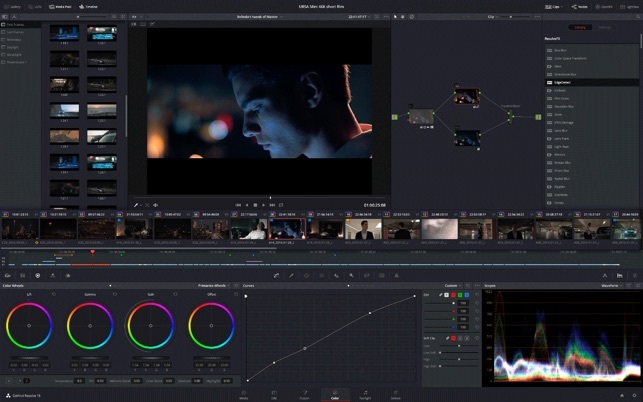 You get advanced primary color grading tools with unlimited secondary corrections, power windows and tracking along with a new LUT browser, shared grades, better noise reduction, faster stabilization, super scaling, dozens of ResolveFX plugins and more. The new Fusion page gives you a true 3D workspace with over 250 tools for creating feature film quality visual effects and stunning motion graphics! Now you can create sophisticated composites, use vector paint, animate titles, add 3D particles, key, rotoscope and more, all inside of DaVinci Resolve 15! The Fairlight page is a full blown digital audio workstation with high performance multi track sample level editing and mixing! You get ADR tools, support for sound libraries, audio and video scrollers for quickly syncing sound, a scrolling timeline, normalization and FairlightFX plugins including a hum remover, de-esser, reverb and more! The free version works in SD, HD and Ultra HD at up to 60fps and supports a maximum output resolution of 3840x2160. 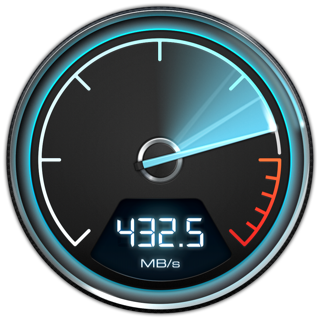 The free version can also use a maximum of 2 GPUs on the current MacPro only. 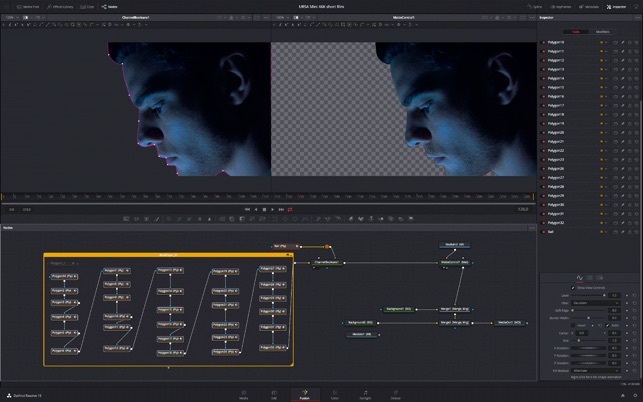 Upgrade to the paid version of DaVinci Resolve 15 Studio and you also get automatic facial recognition for face refinement tools, Temporal and Spatial noise reduction, photorealistic optical quality motion effects, Lens Flare, Lens Blur, Aperture Diffraction, Revival restoration tools, Film Damage or Film Grain ResolveFX. 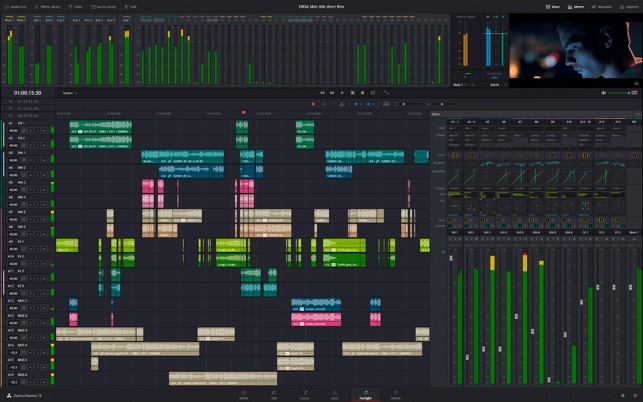 DaVinci Resolve 15 Studio also includes Lens distortion correction, high quality de-interlacing, HDR (High Dynamic Range) grading with Dolby Vision support, stereoscopic 3D tools, remote rendering, multiuser collaboration with chat and more. The Mac App store version of DaVinci Resolve 15 works with Metal and OpenCL only, does not support some external control panels, and may not be compatible with all 3rd party OpenFX or VST plugins. If you need these features, please download DaVinci Resolve 15 from the Blackmagic Design support website. The software works natively with virtually all professional formats. For a full list of compatible formats, codecs and interoperability information, please visit the Blackmagic Design website. Current model iMacPro, iMac, MacBook Pro or MacPro with a minimum of 4GB of graphics memory. A fast hard disk for video, 16GB of system memory, Mac OS X 10.12.6 Sierra or higher, at least a 1440 x 900 resolution display. I knowingly bought the “limited” App Store version because it’s for my noteboo, I don’t want to deal with dongles and Blackmagic is still getting their software activation system off the ground. Some of the limitations seem arbitrary in this version (no JPG export from stills, only DPX?) and for that it loses a star. But it works fine with Postgre SQL servers in a multi-user environment (I had to manually install Postgre on the server, but this is detailed in the documentation) and I can easily “share" this version with one of my work systems under the same App Store license. Overall, this is an excellent suite that gets better with every release. Buyers should always research what they’re buying, and Blackmagic does describe (most of) the limitations in the description. Coming from using a bit of FCPX, this is (while being a learning curve) extremely powerful. Some things like importing media was different from how I'm used to, but once you figure those things out this program is perfect for anyone who needs to edit anything. 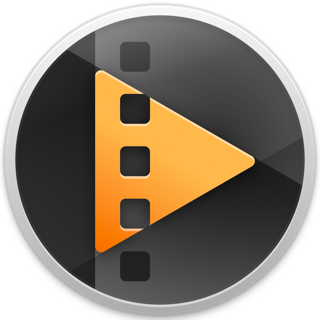 This is without a doubt the best video editor you can get for free. So "buy" it before they figure out how good of a deal it is. 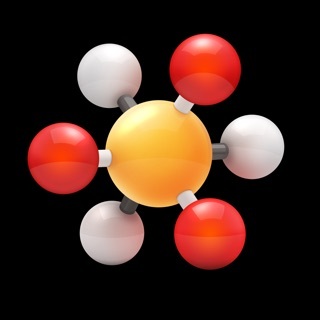 I downloaded this from the App Store after hearing very positive things about the new version of this software. After installing, I tried to import a video and nothing happened. Tried a video with a different format, nothing happened. Checked the documentation to make sure that this was supposed to accept the file formats I was trying to import, and it was. So I uninstalled this and downloaded Davinci Resolve 15 from the website, and it works just fine. Save yourself some time: download the free version from Blackmagic’s website.